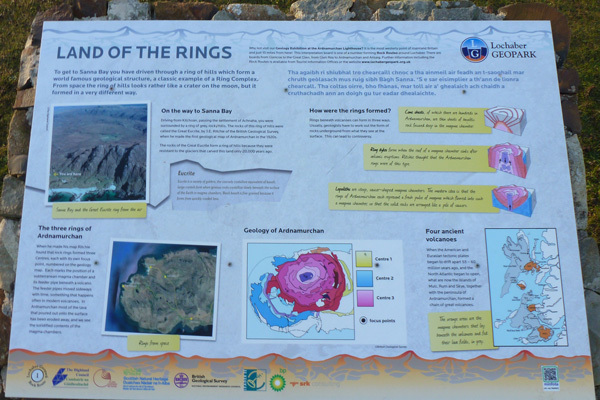 The Lochaber Geopark board describes the Great Eucrite ring complex centred around Achnaha. The ring complex consists of ring of Eucrite hills and marks the position of a subterranean magma chamber and its feeder pipe. Three ring complexes were described on the Ardnamurchan peninsula by J.E. Ritchie in 1920, of which Centre 3 is the youngest. It reveals the remains of the ‘solidified contents’ of the magma chamber. A map shows the position of the three Centres. The board also describes how the rings may have formed with reference to cone sheets. ring dykes and lopoliths. 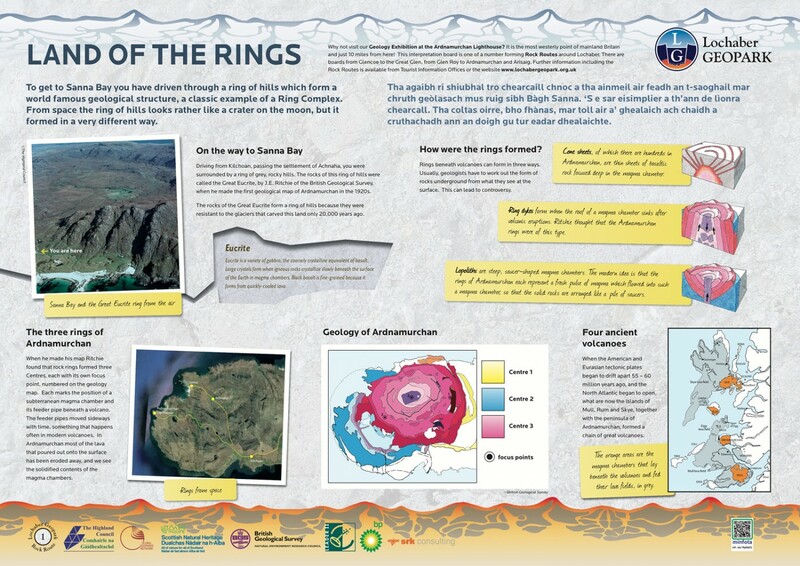 The text is supported by ample geological maps, photos and block diagrams. 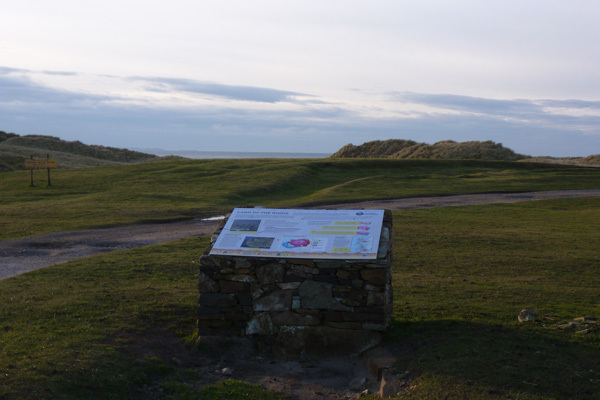 The board is located in the car park at Sanna. A great opportunity to appreciate and interpret the geology and topography of this fascinating region.